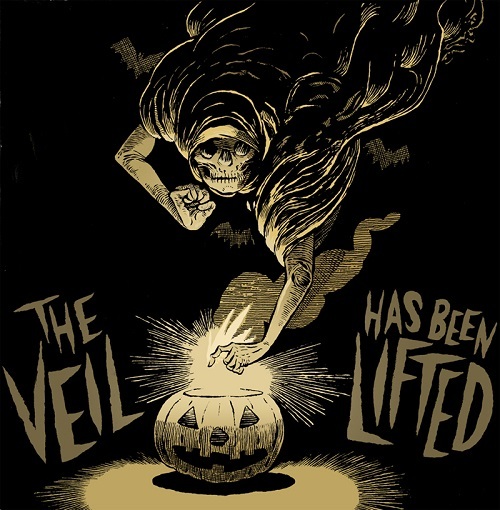 The Order of the Thinned Veil is a Halloween appreciation society that offers three tiers of membership for the year. with unique perks offered to members for each level! It also offers a place for boils and ghouls to come together to share their appreciation for All Hallow's Eve. We are a society of like-minded individuals who choose to live our lives steeped in the legends, lore and customs of Halloween. What does that mean? Well, for us Halloween is anything but just a day in October, it is a lifestyle and a lens by which we view the world around us. The Order of the Thinned Veil is a tiered style of membership for the year. There are three levels of membership and each has it’s own set of perks such as exclusive artwork, a newsletter, certificates, contests and invitations to special events! Members will also have access to exclusive items available ONLY to current Order of the Thinned Veil members. Options for membership are as follows and are a ONE TIME FEE. This is NOT a recurring monthly subscription. Once you sign up, you’re a member for the year! The artwork is jaw-droppingly stunning (just see the photo at the beginning of the post) and their other treats sound so cool! If you are a Halloween fan you will no doubt be intrigued by this Halloween appreciation society and all its perks! I love that they offer so much amazing artwork and that they are going to have a ceremonial planting of pumpkin seeds for members! You can get more info and sign up to join The Order of the Thinned Veil HERE!